Unfortunately we currently have no cars in our database that match your search criteria. Please widen your search options for a more successful search result. Read our helpful guide to second hand BMW 545. AA Cars works closely with thousands of UK used car dealers to bring you one of the largest selections of BMW 545 cars on the market. You can also browse BMW dealers to find a second hand car close to you today. 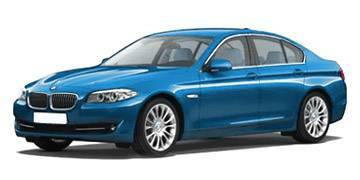 All used BMW 545 on the AA Cars website come with free 12 months breakdown cover. The BMW 545 is one of the more powerful options available in the impressive 5 Series' range. Under the bonnet there is a 4.4 litre V8 engine which produces 333bhp (in its latest generation), and pushes the luxuriously finished car to a top speed of 155mph (limited), and to 60mph from standstill in just under six seconds. Like its siblings (not only in the 5 Series camp but across the BMW range), the 545 rides with refinement and poise, which makes it a superbly comfortable cruising car. Given the chance however, a stiff foot to the throttle shows its more dynamic and energising abilities, which along with its crisp and accurate steering make it a responsive and exciting car as well as a calm and sophisticated one.